Naftali Bennett and Benjamin Netanyahu in the Knesset. Prime Minister Benjamin Netanyahu on Sunday conveyed a message to New Right party chairman Naftali Bennett, telling him he was not interested in mutual attacks during the election campaign and “firing inside the armored personnel carrier,” Kan, Israel’s Public Broadcasting Corporation, reported Sunday night. 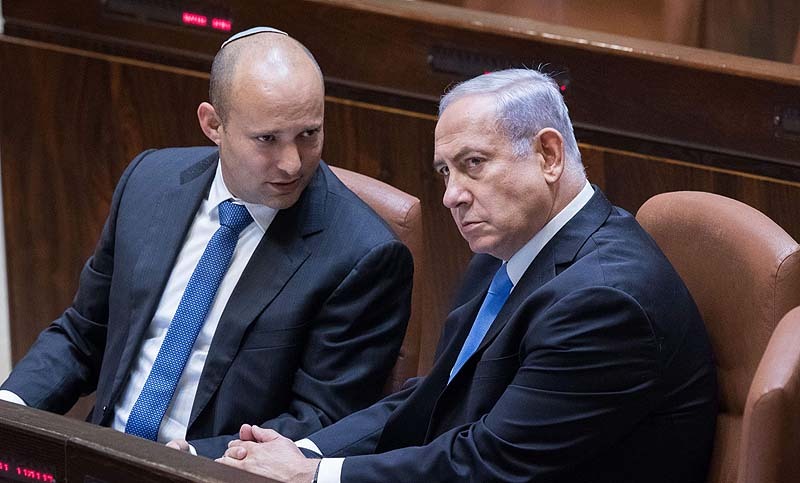 Netanyahu is concerned about attacks on him from the right, with Education Minister Bennett accusing him of conceding to a Palestinian State after the elections. At a press conference on Sunday, Bennett announced that Prime Minister Netanyahu was planning to embark on a plan to establish a Palestinian State immediately after the elections. 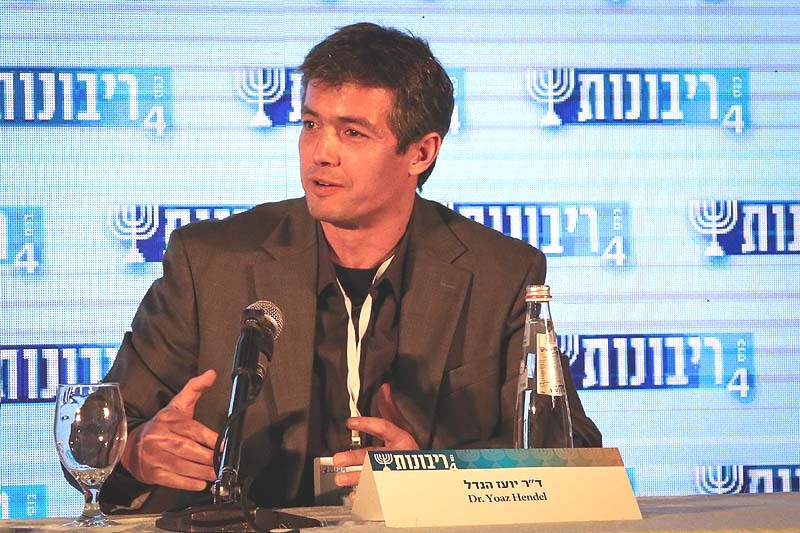 “Lapid and Gantz will then join a national peace government,” Bennett warned. Bennett’s announcement followed the union of Benny Gantz and Yair Lapid, which the New Right fears would cause right-wing voters to decide to bolster the Likud, which currently trails the center-left Blue and White by five to six votes in most polls. Previously, Bennett only called on right-wing voters to vote for him so that he, rather than the left, would be able to partner with Netanyahu and steer him to the right. Now the attack on Netanyahu actually suggests the PM has already decided to betray his right-wing voters. Knesset Speaker Yuli Edelstein, who is running second on the Likud slate, called Bennett’s accusations “nonsense in tomato juice,” which is Israeli for nonsense. He also warned that firing inside the APC and “concentrating on each other rather than on the enemy” was unnecessary and harmful. 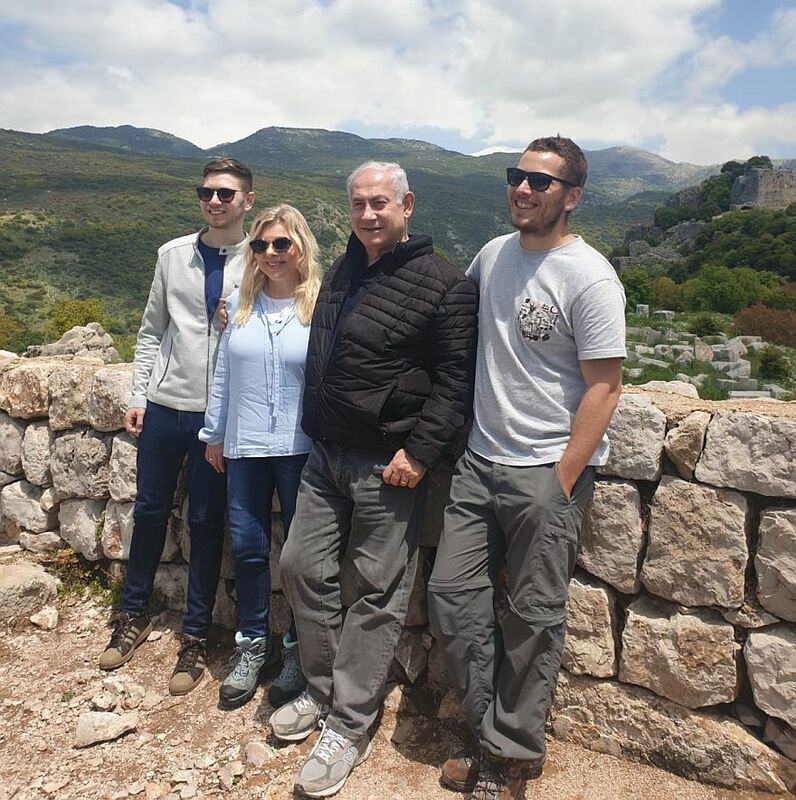 Except that back in the March 2015 elections, Netanyahu drank up at least five of Bennett’s Habayit Hayehudi Knesset seats by promising that a vote for him was just like a vote for Bennett – five votes which Bennett is determined to win back. 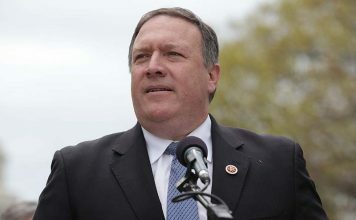 Also, it’s pretty clear that as soon as Trump drops his “deal of the century” on Bibi’s desk, the PM would grab it, lock, stock and barrel, because giving up liberated lands and establishing a Palestinian State would give him the status of an untouchable “Etrog” in the Israeli left-leaning prosecution and, of course, media – just as it did when the late PM Ariel Sharon was forgiven his criminal corruption violations on the backs of the Gush Katif settlers in Gaza.